Cost: Admission for Apeiron members and students with valid ID is free. Admission for others is $10. Please join us for Apeiron’s next Evolution Forum! 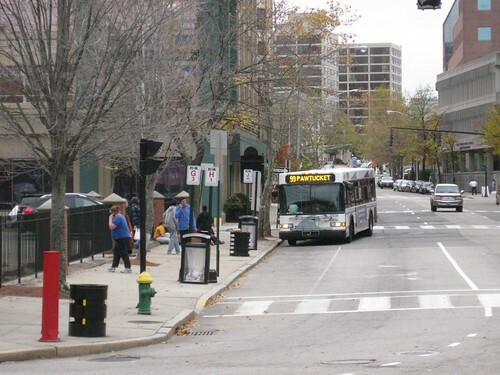 This month we will highlight Transit in a Sustainable Rhode Island. Panelists include Catherine Lutz, anthropologist and the Thomas J. Watson, Jr. Family Professor of Anthropology and International Studies at Brown University; John Flaherty, Grow Smart RI and Chair of the Coalition for Transit Choices; and Mark Therrien, General Manager of the RI Public Transit Authority. Come engage with experts from academia, government, and the non-profit sector to learn how Rhode Island is and should be helping to create the future of Transit in the 21st Century. Catherine Lutz- Catherine is an anthropologist and the Thomas J. Watson, Jr. Family Professor of Anthropology and International Studies at Brown University. With her sister, Anne Lutz Fernandez, she has been studying the car system in the United States, focusing on its financial, social, and health impacts on families and individuals. Their book, Carjacked: The Culture of the Automobile and its Effects on Our Lives, is out with Palgrave Macmillan in January (carjacked.org). Take Bus #11: Providence to Broad City Line Outbound. Depart Kennedy Plaza at Berth F. Ride for approximately 18 minutes. Get off the bus at Stanwood Street. Walk north on Broad St toward Saratoga Street. Turn right at Saratoga Street and walk to the first intersection. Turn right at Baxter Street. 17 Gordon Ave will be on your left. Look for a sign that says Gordon Avenue Business Incubator. For more information and to register visit apeiron.org.